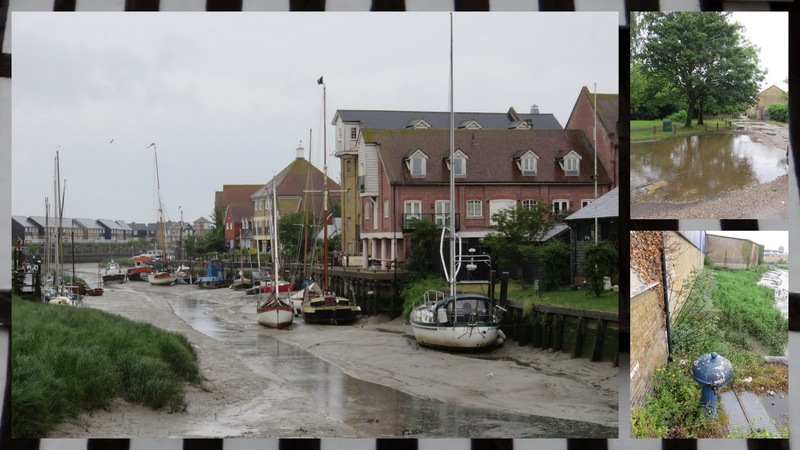 We traveled from London to Canterbury on a Southeastern Railways Weekender Ticket. We were single minded and went directly to our final destination on Friday but decided to take the return in a more leisurely fashion. 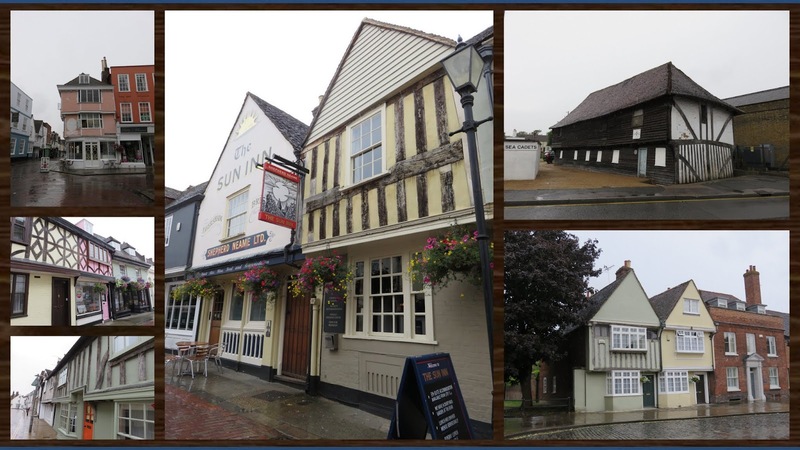 The ticket allows you to stop off at any station on the way home for no extra charge so we decided to check out a few of the commuter towns between London and Canterbury. We spent a rainy Sunday exploring Faversham and Rochester. Here are eight highlights to check out if you ride the rails on a weekender pass in the UK. 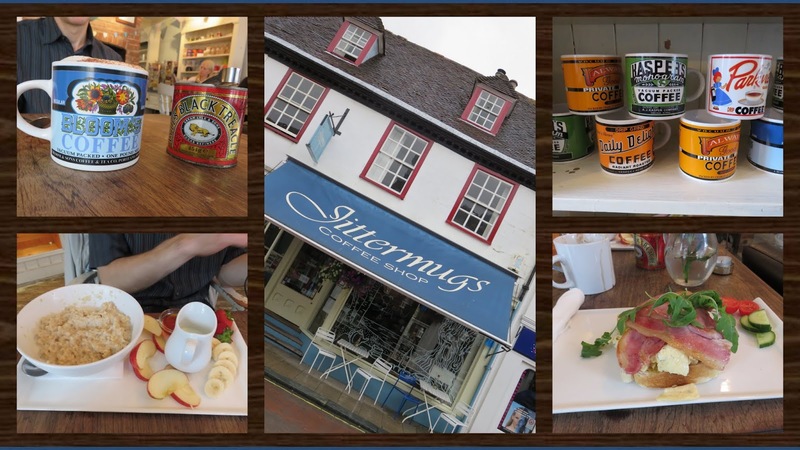 We had departed Canterbury early on Sunday and were definitely in need of caffeine when we arrived in Faversham. We sat down at Jittermugs for breakfast and two extra large cappuccinos were placed in front of us in colorful retro mugs. We also filled our bellies with eggs and bacon on toast and a bowl of porridge served with fruit. 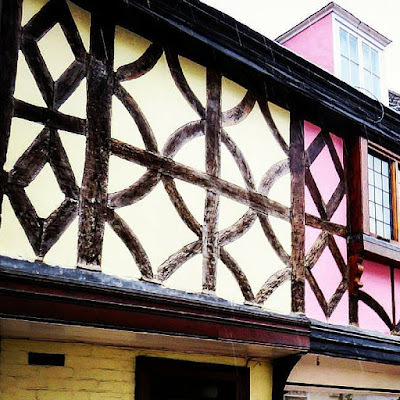 Much like Canterbury, Faversham features a core of medieval architecture typified by half-timbered buildings. We splashed through the streets admiring the modest homes in town. Flood Lane. Hmm...I wonder why they call it that. It turns out that street is appropriately named and we had to pick our way through the puddles until we emerged and crossed a tiny river. Despite the rain, water levels were low and we spotted many beached sailing vessels. 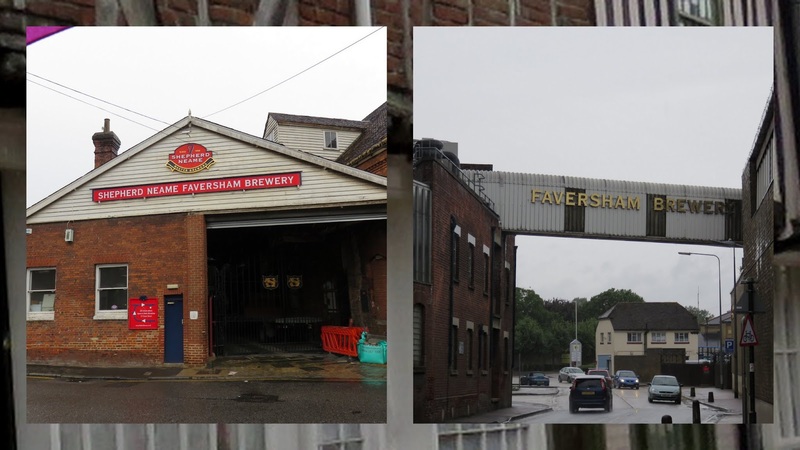 Faversham is also known for Shepherd Neame, the oldest brewer in Britain. Founded in 1698, the brewery does daily tours (limited on Sunday). Unfortunately our timing was off and we missed the tour but we did manage to find a pint...read on. 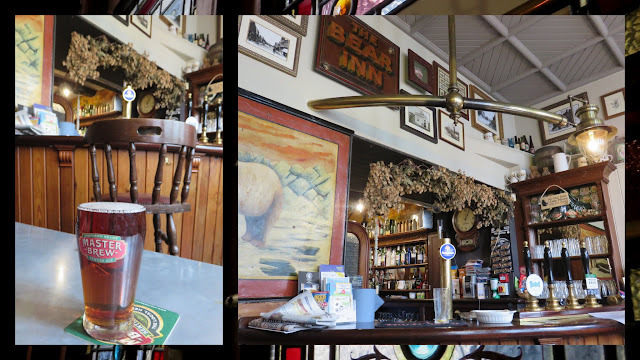 Since we couldn't get Shepherd's Neame at the brewery itself, we popped into the Bear Inn just up the road for a pint in a cozy English pub. We steeped in the vibe of this old school pub while sipping our beer. I met my husband in Rochester, the one in the US in New York State, not the one in the UK. However, we thought it would be fitting to use our weekender pass to stop in Rochester on our return to London. 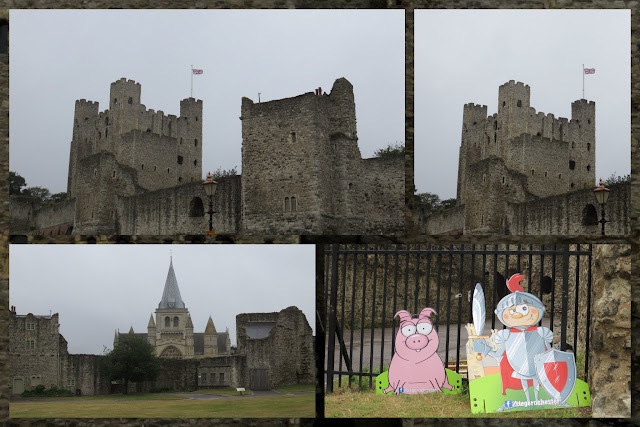 Much like 'our' Rochester, this Rochester in the UK was a bit gray (at least when we visited). 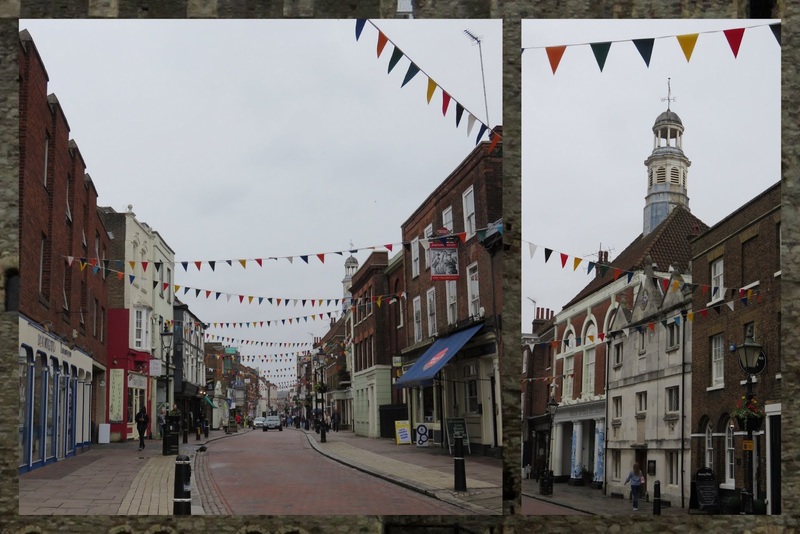 We nearly had the High Street to ourselves as we walked into town from the train station. While Rochester, New York has a university as a centerpiece of the city, Rochester in the UK features a castle. Despite the rain, we wandered the grounds and allowed ourselves to be transported back in time. 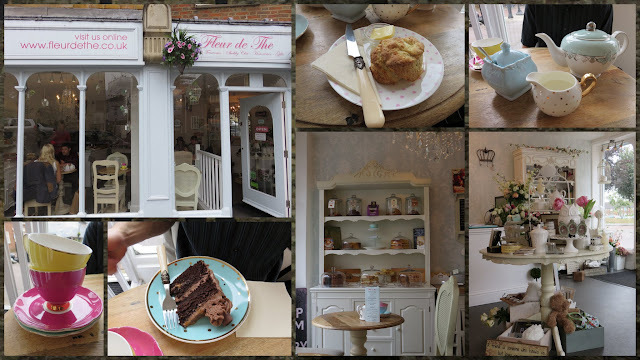 We celebrated our successful weekend and our 'homecoming' of sorts in Rochester with tea and cake at Fleur de The. The tea room was a classic with frilly pastel decorations. The tea and cake were served on fine mismatched china. It represented a lovely end to a lovely weekend. 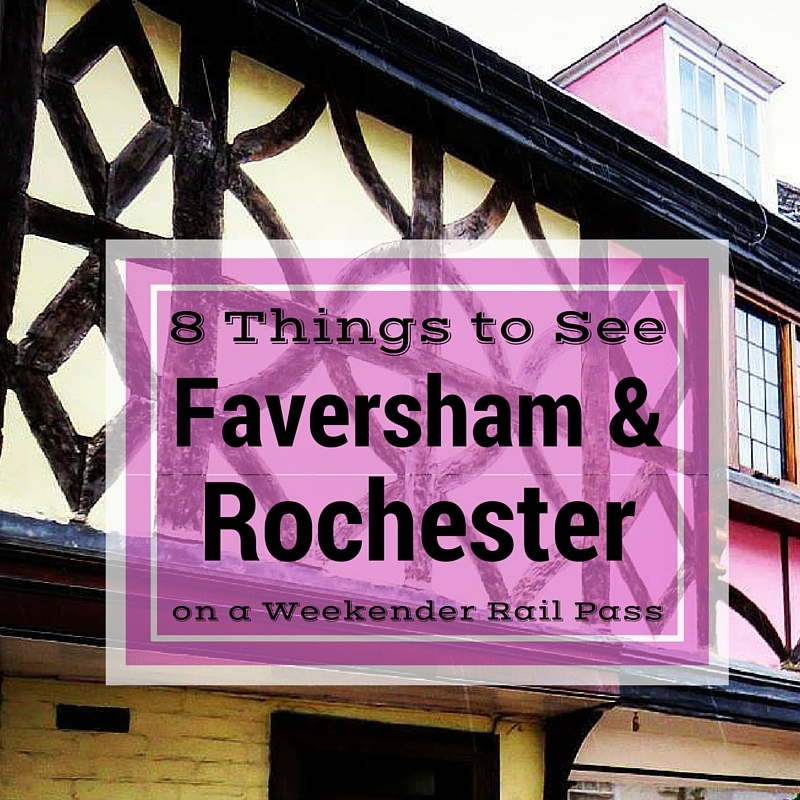 Faversham and Rochester are just two options you can get to by train from London. Check out more ideas about day trips from London here. Things to do in Faversham and Rochester with a Weekender Rail Pass in the UK.